"...'Kirsten Clark' has been recruited into a government agency to be 'stitched' into the memories of people recently deceased to investigate murders and mysteries that otherwise would have gone unsolved. "The program also includes 'Linus Ahluwalia', a bioelectrical engineer and communications technician. 'Camille', Kirsten's roommate and a computer science grad student, is also recruited to assist Kirsten as a "stitcher". 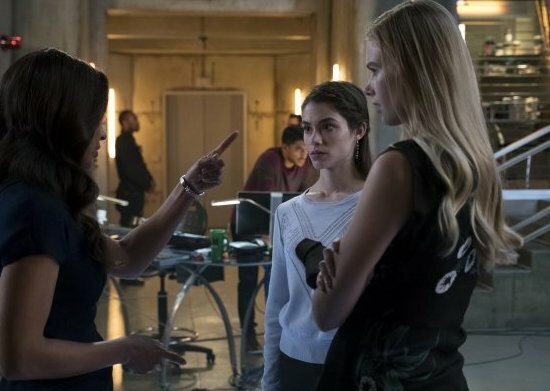 'LAPD Detective Quincy Fisher' is also recruited and added to the team after crossing paths with Kirsten..."
"In Season 3, Kirsten’s life lays in the balance as the Stitchers team works to bounce her back into the real world after she became trapped in a stitch attempting to find her mother. "Fueled by his love for Kirsten, Cameron finds a way to bring her back to reality, but it could cost them their relationship. 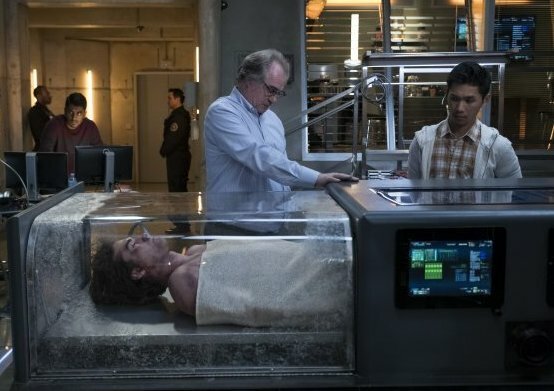 Meanwhile, the Stitchers lab is on lockdown, leaving an anxious Linus unable to check on his father’s condition after surgery. 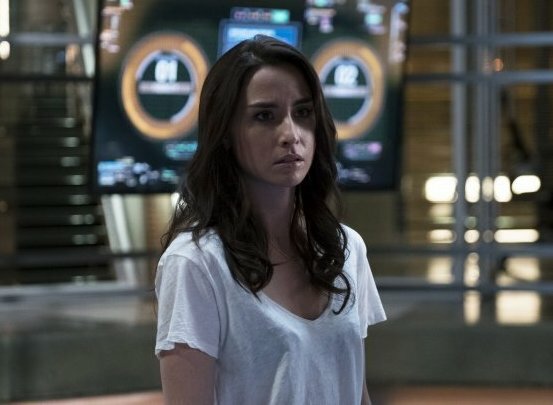 "But, as the team prepares to be reassigned for breaking protocol, 'NSA Director Mitchell Blair' (John Billingsley) surprises everyone by demanding an emergency stitch that yields shocking new information...."